Deep tissue massage works the deeper layers of muscle tissue. It uses slower strokes and greater pressure than a traditional Swedish massage. We use it to focus on treating the specific muscles that are causing your symptoms. These techniques help to restore movement to tight muscles and hence reduce pain. It does this by stretching and mobilising specific tissue in multiple directions. This has the effect of increasing lymphatic drainage from the tissue but at the same time increasing the blood flow to the area. The greater blood flow brings in more oxygen and nutrients which speed up the healing process. We use this technique on muscles, tendons and ligaments, in order to maintain or improve the mobility of the tissue and prevent further scar tissue from forming. When do we apply this technique? To encourage realignment and lengthening of tissue fibres. 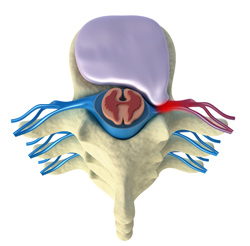 To break up adhesions and incorrectly aligned fibres which cause pain, tightness, decreased mobility of the tissue. To increase blood flow to the target tissue.